Rumors started coming of about the compact version of Galaxy S4 smartphone just after it was launched and now the compact version is a true story as Samsung has just launched the Galaxy S4 mini in India at a price of Rs 27,990. The Galaxy S4 mini has arrived in two colors right now which are White Frost and Black Mist but later we may see few more colors. Samsung is also offering promotional free 3G data of 2GB volume for 3 months on Reliance network. Now apart from promotional data and price, let see what’s actually there in the device i.e. Galaxy S4 mini full specs. The design of the Samsung Galaxy S4 mini is almost similar to the Galaxy S4 and Samsung has tried to provide the same feel to this device also but still the back cover got some cross checks which at least give a different look to the device from back side. It weighs only 108 grams so carrying it is very comfortable. The panel used by Samsung is the Super AMOLED on which 4.3 inch measuring display has been added. The resolution is set to 540×960 pixels and the pixel density is approx 256 ppi. The device also offers multi touch feature and the display is capable of playing HD videos comfortably. The Qualcomm Snapdragon 400 chipset has been used in device on which Dual core processor with clock speed of 1.7GHz has been added. There is also the GPU (Adreno 305) inside. The snapdragon processor has already shown its performance and capabilities to the world in many devices and I’m sure that Galaxy S4 mini will also get that benefit. The storage section also look good as the device holds on to 1.5GB of RAM and 8GB of internal storage out of which approximately 5GB is available for user. The storage expansion option is also there supporting microSD card of maximum 64GB. The OS is Android 4.2.2 Jelly Bean and it’s really good to have a device running this version of Android. Yes, there is a layer of skin on the OS developed by Samsung and there are lots of health apps and Samsung apps pre installed in the device. The Android 4.2.2 JB will not only provide great performance and user experience to the device but it will also help to offer user impressive battery life. With this version of Android gesture typing or Swype also comes preloaded. The camera there at rear part is 8MP while at front its 1.9MP. Features like touch focus, face detection, HDR and panorama are also there and there is LED flash too at the back to let user take picture in low light conditions. The rear camera is capable of recording full HD quality videos too. The device supports 3G cellular network and there is dual band Wi-Fi, Bluetooth 4.0, NFC and Infra red wireless data connectivity features. The microUSB port is also there. The battery inside got 1900mAh marked on which will provide at least 12 hours of continuous talk time battery life over 3G network and that’s a very impressive number. 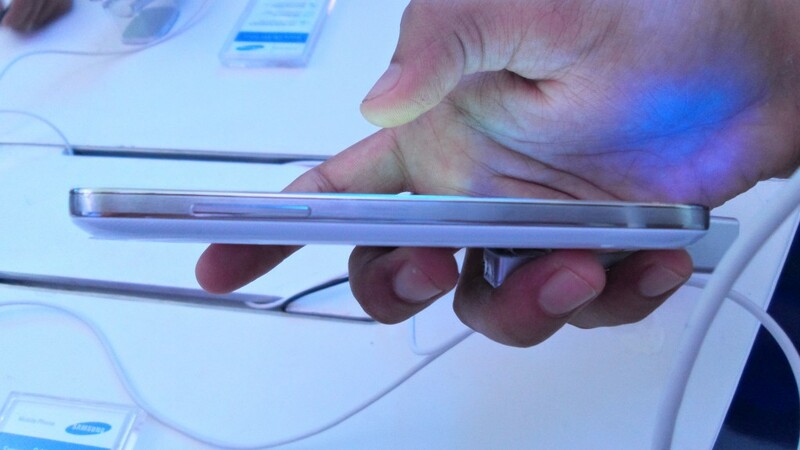 Do share your views down here in comments about Samsung Galaxy S4 mini.